New Navy seabasing and logistics ships may get a high-performance makeover — or several — as the service emphasizes innovation and ingenuity. In a panel at the Navy League’s Sea-Air-Space conference Monday, the service’s head of fleet readiness and logistics, Vice Adm. Philip Cullom, said ships such as the expeditionary fast transport (EPF) and the expeditionary transfer dock (ESD) offer a wide scope of possibility, with uncommitted available space and maneuverability. The EPF, previously known as the Joint High-Speed Vessel, was designed for rapid intra-theater transport of cargo. The modestly sized 340-foot vessels have proven useful in places such as U.S. Southern Command, where larger ships are often unavailable to move troops and gear in theater. 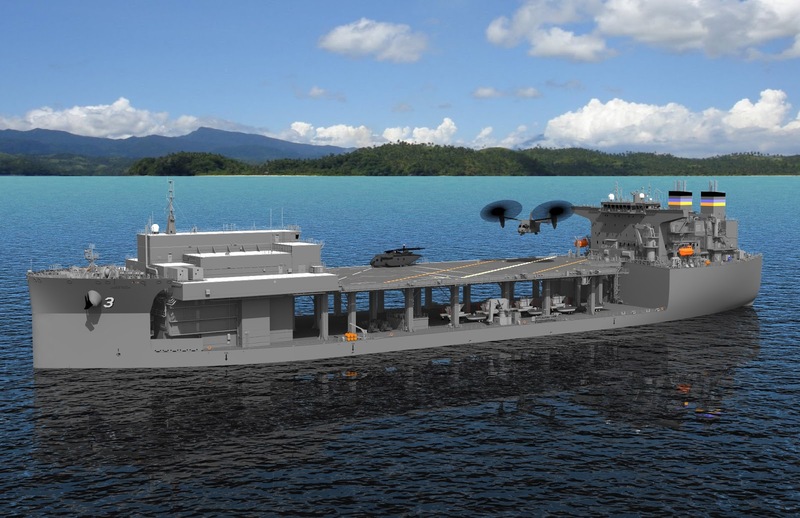 Both the EPF and the ESD, a platform based on a civilian oil tanker with a submersible deck, are part of a family of seabasing ships, designed for logistics and prepositioning and envisioned as a partial substitute for scarce amphibious ships. For Cullom, the boxy EPF shouts possibility. As far back as 2014, the Navy experimented with using the EPF as a miniature hospital ship or a floating ambulance, fitting it with an optimized package of medical gear and sending it to locations that might not be reached by the service’s slow-moving full-sized hospital ships, Comfort and Mercy. Cullom said he’s looking at other uses for the EPF and the ESD and encouraging creativity from the fleet in employing the ships in novel ways. “If you think about the cube below the main deck of those ships, there is no limitation,” he said. If we're gonna split up the MEU so that our ships can do independent ship operations acting as hospital ships, conducting small scale exercises and showing the flag then why repurpose these ships? But even if you're a fan of them being repurposed then why not simply build on the package that we have with the ESD? The upper level as a flight deck and the lower level as a hospital would see a no brainer. They would maintain their modularity and could quickly be converted back to a pure SOCOM support role with little difficulty. With a little imagination you could even enhance the structure, build it out and have a mini-LHA. The sad reality? What we really need is already in service with the French. We simply need to bite the bullet and buy extremely flexible, mercantile standard Mistrals for our future amphibious fleet. 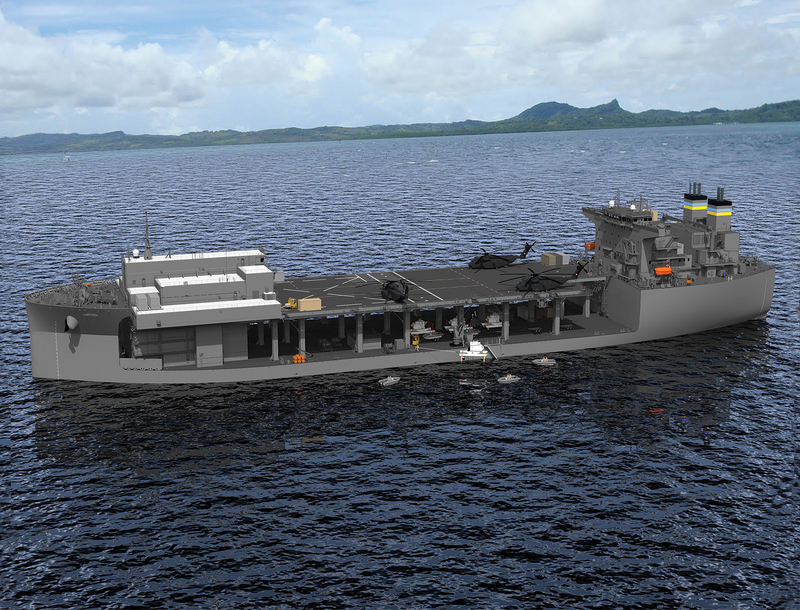 The current mix of big deck LHAs, LHDs, LPDs and LSDs no longer fit what the Marine Corps is doing. 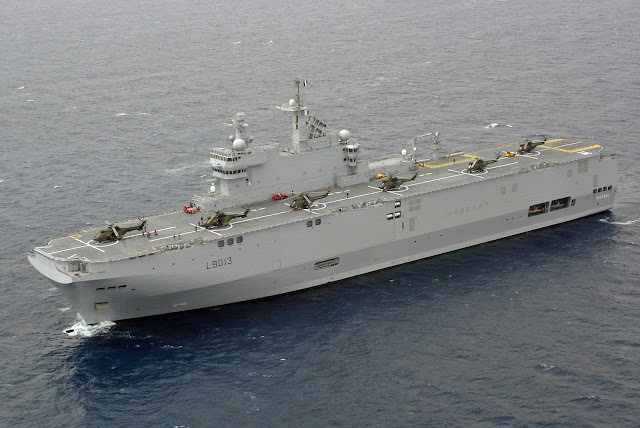 A few America Class LHAs without well deck and the rest of our amphibious ships being Mistral classes would better fit the direction that Marine Corps leadership is laying out. I don't agree with it, but it fits.